In a previous post, I addressed why it’s important to declutter your WordPress site and clean up plugins. Superfluous plugins threaten your website’s security and slows its runtime down. To get rid of them, first, you’ll need to audit your site. Then, you’ll need to remove the excessive plugins permanently. I’ve outlined why this process is critical for your site, and how you can get started. Read on to learn more. It Increases Security. The fewer the plugins on your site, the smaller its attack surface. In other words, there’s less code for hackers to target. It Increases Stability. Plugins can conflict with each other. They can also conflict with WordPress. Each additional plugin exponentially increases the chances of these conflicts occurring. The fewer the plugins on your site, the less likely conflicts will occur, and the more stable your site will be. It Increases Speed. In general, the fewer the plugins on your site, the faster it will run. People (and Google) love a fast website! Now, let’s audit your site and clean up those plugins! The first step is to make a complete backup of your site, including all files and its database. To do this yourself, you can use plugins such as BackupBuddy or BackWPup. With our WordPress Maintenance Plans, we back up your site daily. Next, record all the plugins installed on your site. 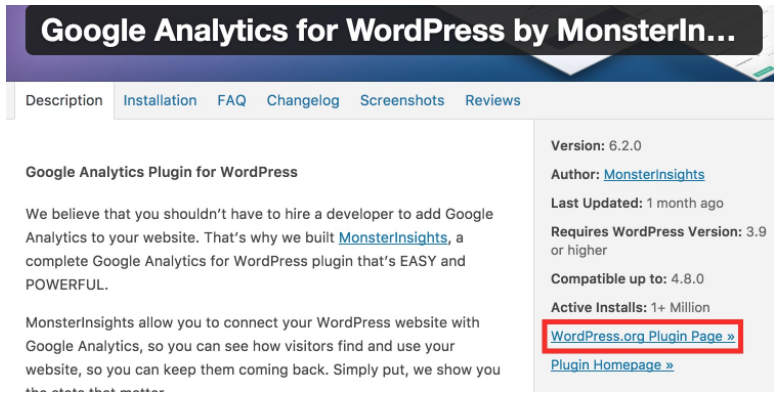 From the WordPress admin menu, click Plugins. You can take a screenshot, or copy and paste into a text document. If you do the latter, grab the plugin’s name and its URL. To get the URL, click the View details link under the plugin. A new window will open. On the right side of that window, copy the link for WordPress.org Plugin Page. Next, look for deactivated plugins. On the Plugins screen, look for the Inactive link at the top. If it’s not there, there are no inactive plugins. If it is there, click it to view the inactive plugins. These plugins are probably safe to delete since they’re not active. Nonetheless, it’s prudent to double-check each plugin and confirm. Next, look through the active plugins. On the Plugins screen, click the Active link at the top. Look at each one and decide whether you truly need it. If you don’t know what a plugin does, click the View details link under the plugin. Read the description. Once you know what the plugin does, look for where it could be in use on your site. If you still aren’t sure how useful it is, deactivate the plugin. Check the place on your site where you think it could be in use. As you continue your audit, click Deactivate for any plugins you don’t need. Now that all the unnecessary plugins are deactivated, it’s time to thoroughly test your site. Click through the admin area (the back end you use to manage the site), the front end (the side of your website that everyone else sees), and the mobile version of your site (a phone or tablet). Look for anything out of place. Test functionality, such as contact forms and galleries. If you find something broken, revisit the deactivated plugins to find which most likely caused the issue. Once you’ve identified it, activate that plugin and deactivate the rest. Now that you’ve confirmed the deactivated plugins aren’t necessary, it’s time to delete them. On the Plugins screen, click the Inactive link at the top. Click the checkbox at the very top, selecting all the inactive plugins. From the Bulk Actions dropdown, select Delete, then click Apply. Now that your plugins have been decluttered, it’d be a great time to backup your site again. Call in the Experts. Learn More About Our WordPress Maintenance Plans! Cleaning up plugins, and other parts of the WordPress maintenance process can be overwhelming. It doesn’t have to be. With OptimWise’s Silver and Gold WordPress Maintenance Plans, we can do this for you. Let us take care of your website, so you can take care of your business. NIce post. can i remove the excessive plugins permanently ? or it will deactivate only ? Vinay, if you know that you’ll need a plugin again soon (say, within two weeks), you can deactivate it but leave it installed. If it will be more than a couple weeks before you’ll need the plugin again, or you don’t think you’ll ever need it again, then it would be best to deactivate and then delete it too. Plugins that are deactivated but not deleted can still be used by hackers to get into your site. So, whenever possible, it’s safest to delete the plugins. Remember that you can always install a plugin again in the future, even if you delete it.